What guitarist wouldn’t want the classic combination of a single-cutaway design with a mahogany body and neck, and rosewood fingerboard? 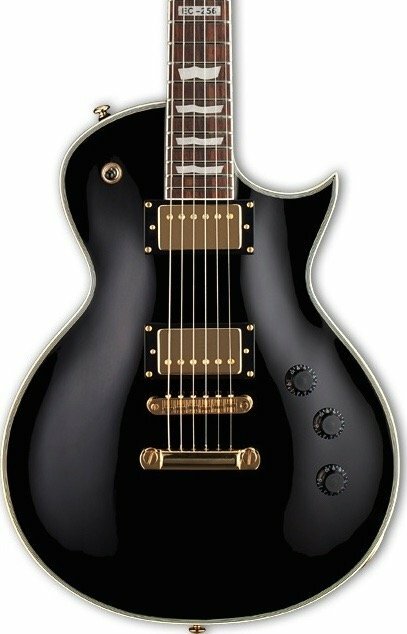 Available in beautiful Black or Metallic Gold, the LTD EC-256 is an amazingly affordable way to get into the look and sound of an all-time great guitar that’s great for every style of music, with great-sounding ESP Designed LH-150 passive pickups. It even includes features you don’t often find in a low-cost guitar, like set-neck construction and body, 3 pc. neck, and headstock binding.